A lot of roulette systems become profitable only if you have a lot of time to spend at the wheel. This just isn’t a good fit for players who want to go to a high stakes table and play just a few spins. If you’re looking for fast, high stakes action at the roulette tables, the All Bases Covered method is a great one to choose. It differs from the popular Martingale System, since it focuses on the inside bets. The second dozen or the lows. Your bet should be for multiples of $10 with $6 placed on the highs or lows and $4 placed on the dozen that corresponds to the wager. In other words, if you wanted to bet $100, you would put $60 on the highs or lows and $40 on the dozen. Because of the number of bets that you have placed, you have over an 80 percent chance of winning. in multiples of $10 again. You have a very high chance of winning with this method because you have placed bets on nearly all of the numbers. This is one of the few times when the odds will be on your side when you spin the wheel. You don’t need to play more than a few spins to make a big profit. There is no need to track progressions as you play, so you can focus more on the fun and excitement of roulette. You won’t even need a pen and paper in your hand. The biggest drawback of the All Based Covered system is that if you lose, you stand to lose big because of the sizes of the bets involved. 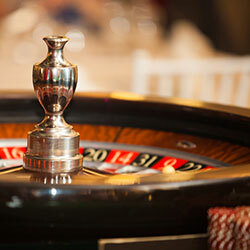 While the odds are in your favor with each spin, ultimately, roulette is a game of chance. It is always possible for one of the few numbers that you haven’t covered to hit or for the zero to be spun. 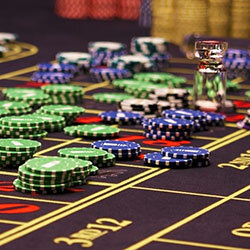 One of the good roulette tricks to increase your chance of winning, is to play on a European roulette wheel, which has one zero as opposed to the two found on the American roulette wheel. If you would like to see for yourself how well the All Bases Covered system can work, you can try your luck on an online casino.